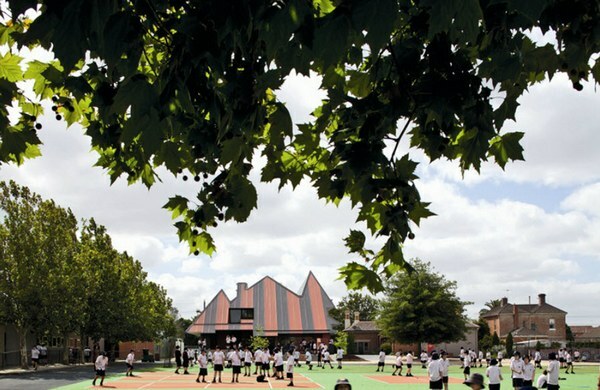 The challenge to design a large, modern learning space on a site surrounded by heritage residential homes is considerable. 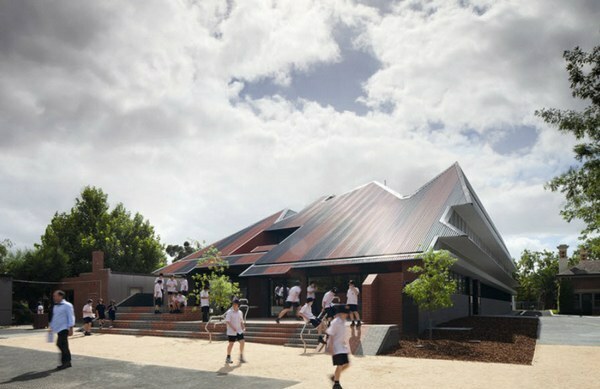 Architects McBride Charles Ryan extraordinary design for the Junior Boys building at Penleigh and Essendon Grammar School (PEGS) in Melbourne marries traditional shapes with modern design. 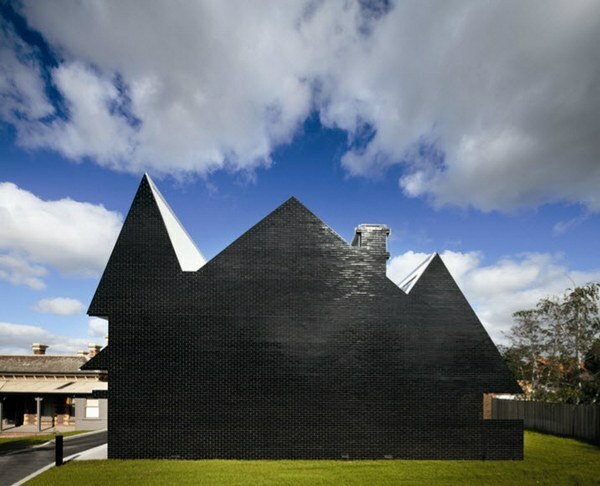 Inspired by the silhouette of a typical Australian heritage home, the building is nothing short of astonishing. 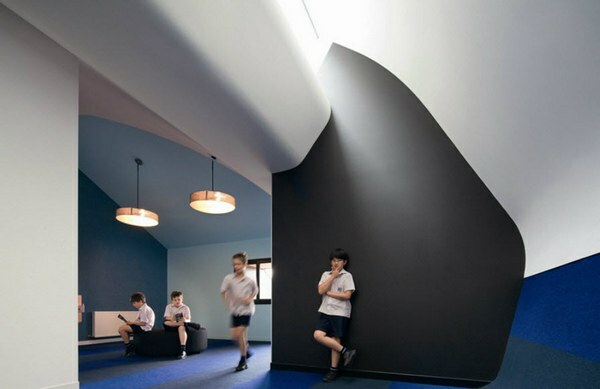 So how does the unusual shape translate to the interior? Beautifully, of course. 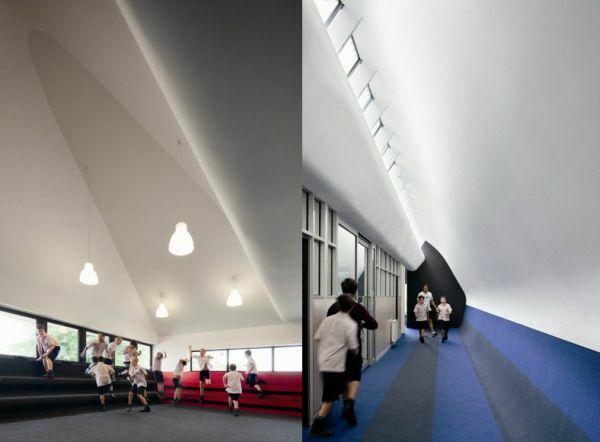 The photos by Melbourne architectural photographer John Gollings, show practical classroom spaces sitting alongside multi-purpose areas with soaring ceilings and hallways that capture light and playful wall angles. In addition, the internal spaces are passively cooled by drawing air from the south facade of the building and expelling hot air through a thermal chimney. Thanks to Babyology reader Sarah for alerting us to PEGS. 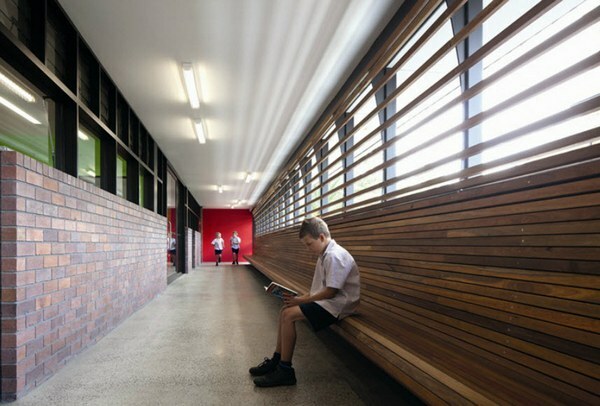 Read about other amazing school designs in our previous posts.